These fine ski goggles are a great way to progress your skiing with a clear and wide field of view. The Salomon S/Max with a bronze lens is the choice of the day when the skies are all blue. 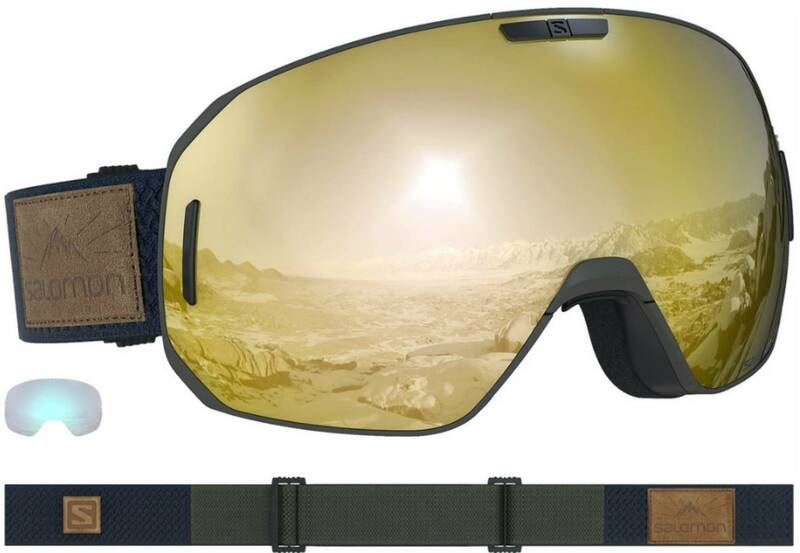 In addition, also included is a lens for low light condition like cloudy or snowy days on the slopes. The Custom ID Fit technology is an adaptive foam that makes the goggles fit well and provides personalized anatomically fit and comfort. These medium/large size ski goggles are suitable with receptive glasses under the goggles (OTG) and the spherical lens ensures a wide vision. Also, they provide 100% UV protection.